Comedy Central’s music and comedy festival returns with big names. 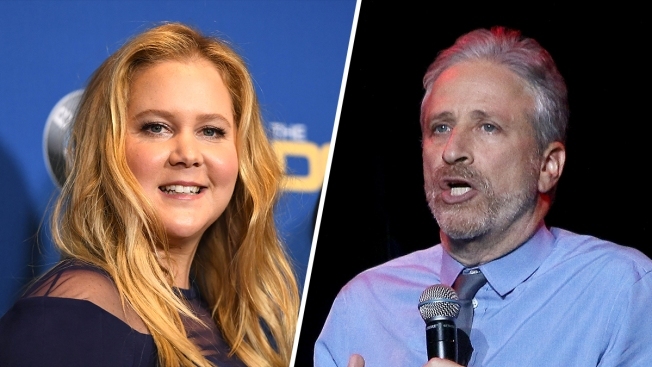 The second annual Clusterfest will take place at the Civic Center Plaza and Bill Graham Civic Auditorium in San Francisco on June 1 and will feature Amy Schumer and Jon Stewart. As for musical performances, the lineup includes a variety of genres from Third Eye Blind to Salt-N-Pepa. A revised lineup released April features ohn Mulaney, Nick Kroll, the Wu-Tang Clan, T-Pain, Jeff Ross, Bianca Del Rio and Michael Rapaport. Attendees can also can also look forward to the live debut of the musical-comedy trio of Andy Samberg, Jorma Taccone, and Akiva Schaffer as The Lonely Island. Other comedians set to perform are Trevor Noah, Tiffany Haddish, David Cross, Michael Che and Desus and Mero, among others. Aside from the music and comedy, Clusterfest will also feature interactive attractions like a President Trump Twitter library, a South Park county fair and Nickelodeon’s Double Dare game. Three-day general admission tickets range from $199 to $289.